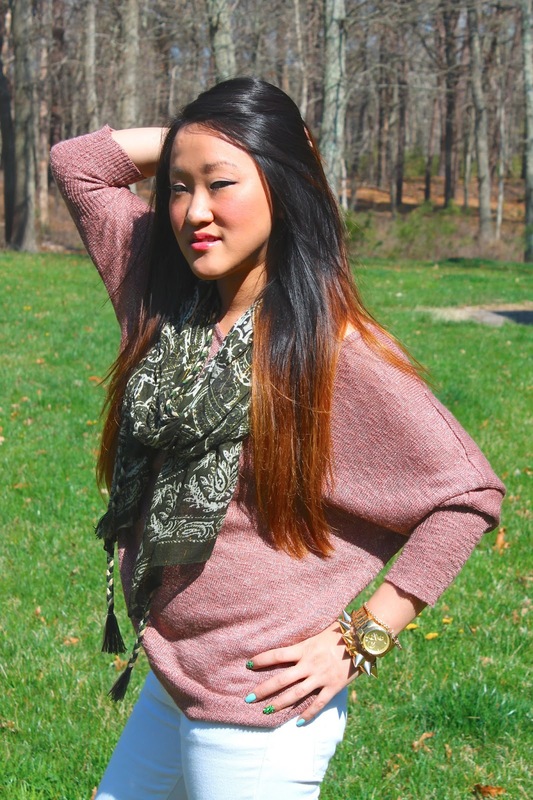 Throw on a sweater and a scarf- instachic! I'm not much of a pink girl, but I love this dusty rose color and of course I love coral-pink shades. I Love, LOVE this color pink with earthy greens and tans, I think they compliment each other very well. Some days, well most days I just want to be comfy, but always chic and pulled together. A nice spring sweater and a complimentary scarf is the way to go! I always say a great scarf collection is the easiest way to chic-ify your looks. Its so simple but adds a stylish touch the simplest looks. As I've said in previous posts, "Small details" and of course the scarves make a great impact on the simplest everyday look. I think the small opening on the back of the sweater is a great simplistic detail. I actually used to never accessorize. I've been getting my jewelry game up. I follow you with lots of admirations, follower 56 on bloglovin! Would be great if you follow me back so we can stay in touch! Maybe we can also like each other Fb page, what do you think? Hi dear! I like your blog, do you want follow each other? If you want follow me, leave me a coment saying and I will follow right back! I'm going to check out your blog now. Love your look, you look so beautiful! Great bag and lovely shoes!I like your blog, would you like to follow each other? thanks for your sweet comment on my blog! I immediately checked yours out and I have to stay that I really liked it! I love your watch, your top and the scarf, so beautiful! Would you like to follow each other through bloglovin and gfc? if so, tell me when you followed me and I'll follow you back immediately! aw Im glad. I'm happily following you back! Great outfit! Love that spike bracelet!! you are so pretty! love your hairstyle! aw so sweet, thanks so much. Pretty shoes! Would you like to follow each other via GFC, bloglovin' and facebook? of course, I'd love to follow you back. Thank you for your lovely commend on my blog, would you like to follow each other on GFC or Bloglovin'? no prob lady! I just followed you! Thanks! 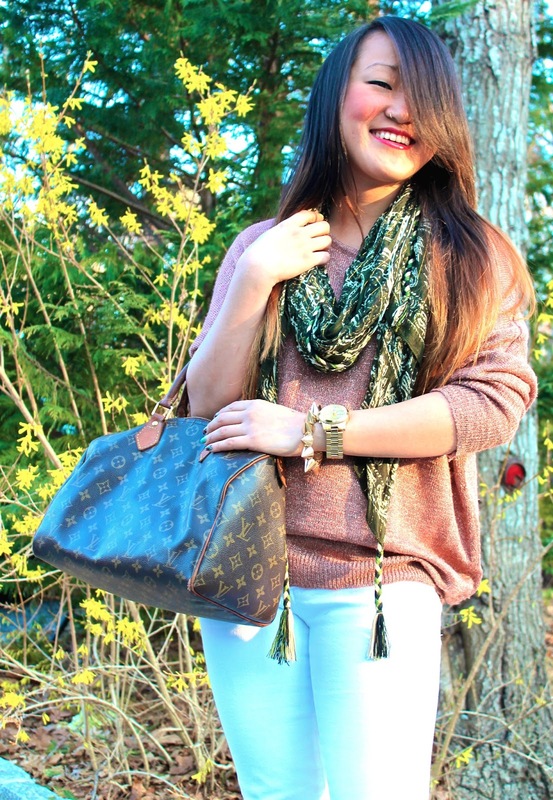 It is a great way to be comfy and chic! Also, check out my giveaway (of a beautiful statement necklace) here: http://beneaththecoat.blogspot.ch/2013/05/giveaway-zara-necklace.html ! !